Every Friday. Traditional high tea at the Grand Victorian. High tea includes a pot of tea, savories, scones, Devonshire cream and desserts. Noon-5:30 p.m. $15. 105 N.W. Coast St. Newport, Oregon. 541-265-4490 or 800-784-9936..
Every Tuesday, Thursday, Saturday. Giant Pacific Octopus. Explore the realm of the Giant Pacific Octopus and get a slimy handshake! The Octopus Encounter includes a behind-the-scenes tour and educational information about the care of this amazing invertebrate. Ages 8 and up. $35 members, $40 nonmembers. 12:00 - 1:00 p.m. Oregon Coast Aquarium. 2820 S.E. Ferry Slip Road. Newport, Oregon. 541-867-3474. www.aquarium.org. Every Saturday and Sunday. Behind the Scenes Tours at the Aquarium. See how to vacuum in the water, make food for a 500-pound sea lion and what it looks like above the Passages of the Deep. $10 members, $15 nonmembers. 1-1:30 p.m. Oregon Coast Aquarium. 2820 S.E. Ferry Slip Road. Newport, Oregon. 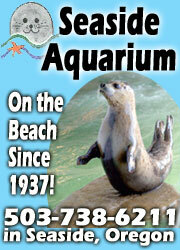 541-867-3474. www.aquarium.org. Every Saturday and Sunday. Seal and Sea Lion Kisses. This is 20-30 minute experience including a behind-the-scenes look at our pinniped facility followed by a whiskery kiss from a sea lion or harbor seal and fun photo opportunities. Ages 8 and up. $35 members, $40 nonmembers. 2:15 – 3:00 p.m. Oregon Coast Aquarium. 2820 S.E. Ferry Slip Road. Newport, Oregon. 541-867-3474. www.aquarium.org. Every Thursday and Friday (and second and fourth Saturdays of the month). Karaoke You Are the Star. With Doctor B. 8:30 p.m. Bay Haven Inn on the Historic Bayfront. 608 SW Bay Blvd. Newport, Oregon. (541) 265-7271. Every Wed and Thurs. Wacky Tiki Karaoke at the Wing Wa. With Brent. One of the central Oregon coast’s true gems in terms of kooky bars. 8 p.m. Over 21. Wing Wa Tiki Lounge. 330 Highway 101, Depoe Bay, Oregon. (541) 765-2288. Fridays and Saturdays with Mister Bill. 9 p.m. Over 21. Wing Wa Tiki Lounge. 330 Highway 101, Depoe Bay, Oregon. (541) 765-2288. February 17. Annual Crab Krack. Treat yourself to a luscious fresh local Dungeness crab dinner and live jazz in the company of your friends and neighbors. Each year, crab for this event is graciously donated by the Yaquina Bay commercial fishing community. 4 p.m. Cost for members is $45 per person, for non-members, $55. Memberships start as low as $20 a year. For more information, to purchase tickets, or reserve your table for 8, call the Historical Society at 541-265-7509. 3019 N Coast Hwy, Newport, Oregon. February 19. Science On Tap: Marine Mammals Stranding Events. 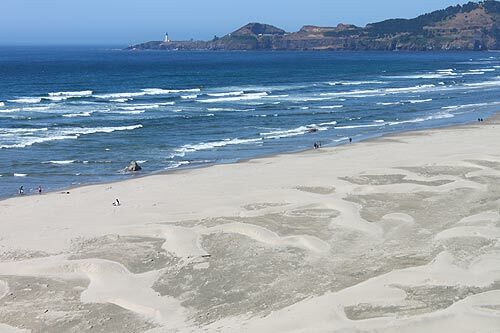 Marine Mammals Ashore: Quantifying and Interpreting Stranding Events, by Jim Rice of the Oregon Marine Mammal Stranding Network. 6 p.m. Rogue Brewers on the Bay. 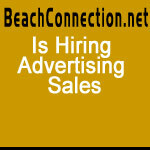 2320 SE Marine Science Dr, Newport, Oregon. February 21 – 24. Newport Seafood and Wine Festival. Showcasing over 150 premier Northwest wines, culinary professionals and regional artisans, the Newport Seafood & Wine Festival draws nearly 25,000 visitors each year. Newport, Oregon. www.seafoodandwine.com. February 22. National Theatre: the Tragedy of King Richard II. Simon Russell Beale plays William Shakespeare’s Richard II, broadcast live from the stage of the Almeida Theatre in London. 7 p.m. Ticket prices are $16 for adults, $13 for seniors, and $11 for students. Newport Performing Arts Center. 777 W. Olive Street. Newport, Oregon. 541-265-2787. coastarts.org. February 23. Met Opera: Carmen. Mezzo-soprano Clémentine Margaine is opera’s ultimate seductress, opposite tenor Roberto Alagna, who captivated Live in HD audiences as Don José in 2010. 10 a.m. Single ticket prices are $21 general, $18 senior, and $10 student; general admission seating. Newport Performing Arts Center. 777 W. Olive Street. Newport, Oregon. 541-265-2787. coastarts.org. March 1- 17. The Violet Hour – Live on Stage. A fledgling publisher struggles to decide which work to choose as his imprint's first title. His difficult decision - whether to publish his lover's memoir or the novel written by his best friend - is further complicated by the arrival of a mysterious machine - a machine that produces pages predicting the future of the play's protagonists, affecting their lives and relationships in haunting and unexpected ways. $20 (General), $18 (OCCA Members), $16 (Students/Seniors with ID). 7 p.m. (2 p.m. matinees). Newport Performing Arts Center. 777 W. Olive Street. Newport, Oregon. 541-265-2787. coastarts.org. March 2. Met Opera: La Fille Du Regiment. Bel canto stars Pretty Yende and Javier Camarena team up for a feast of vocal fireworks on the Met stage. Single ticket prices are $21 general, $18 senior, and $10 student; general admission seating. 10 a.m. Newport Performing Arts Center. 777 W. Olive Street. Newport, Oregon. 541-265-2787. coastarts.org. March 17. Caravaggio: the Soul and the Blood. Take an immersive journey through the life, works and struggles of the Italian master Michelangelo Merisi di Caravaggio. Roberto Longhi, a Caravaggio expert, explores the artist's masterpieces. $16 for adults, $13 for seniors, and $11 for students (Plus applicable online fees). 2 p.m. Newport Performing Arts Center. 777 W. Olive Street. Newport, Oregon. 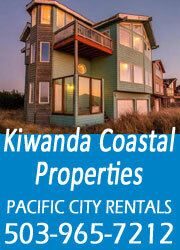 541-265-2787. coastarts.org. March 23. NSO With Amy Yang, Piano. The Newport Symphony Orchestra at the Ocean conducted by Adam Flatt with guest artist Amy Yang, piano, perform music of Clara Schumann, Lili Boulanger, Claude Debussy, Sergei Prokofiev, and George Gershwin. 7:30 p.m. $25 & $39 plus ticket fees; students $10. Newport Performing Arts Center. 777 W. Olive Street. Newport, Oregon. 541-265-2787. coastarts.org. March 29. National Theatre: I’m Not Running. An explosive new play by David Hare. Pauline Gibson has spent her life as a doctor, the inspiring leader of a local health campaign. When she crosses paths with her old boyfriend, a stalwart loyalist in Labour Party politics, she’s faced with an agonizing decision. What’s involved in sacrificing your private life and your peace of mind for something more than a single issue? Ticket prices are $16 for adults, $13 for seniors, and $11 for students. 7 p.m. Newport Performing Arts Center. 777 W. Olive Street. Newport, Oregon. 541-265-2787. coastarts.org. March 30. Met Opera: Die Walkure. In what is expected to be a Wagnerian event for the ages, soprano Christine Goerke plays Brünnhilde, the willful title warrior maiden, who loses her immortality in opera’s most famous act of filial defiance. Hosted by Alex del Vecchio, "Die Walküre" starts at 9 a.m. Single ticket prices are $21 general, $18 senior, and $10 student; general admission seating. Newport Performing Arts Center. 777 W. Olive Street. Newport, Oregon. 541-265-2787. coastarts.org. 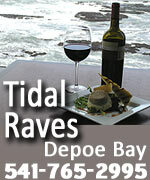 Winter Attractions in Depoe Bay – see the sights and natural features. 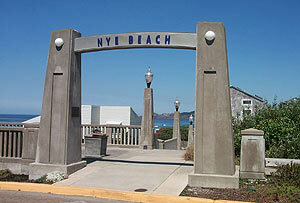 Winter Attractions in Newport – see the sights and natural features.